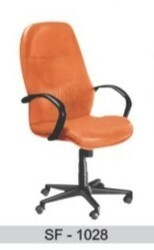 Presenting an array of Executive Revolving Chairs, which are known for their comfort and elegant look. These chairs require no maintenance and lend a touch of sophistication. These revolving chairs have nylon fiber base with gas lift. They are available in different fabrics and can be customized as per the needs of the customers. 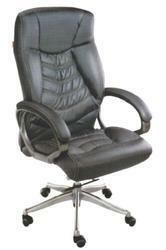 Looking for Executive Revolving Chairs ?